For x15 you might want to try compiling for 64-bit as it might be faster. Thank you for using vs2010! Doesn’t improve x11 performance, just tried out of pure curiosity. Would there be any benefit to compiling in VS 2013 whatsoever? Nick, no improvements for other alogos, there might be some very slight improvement compiling with VS2013, but probably not worth it anyway. My antivirus detects maleware when I try to download!? Svetoslav Nikolov, It is a common problem, most antivirus software detects and reports many of the miners based on cpuminer, cgminer etc. as possible viruses. 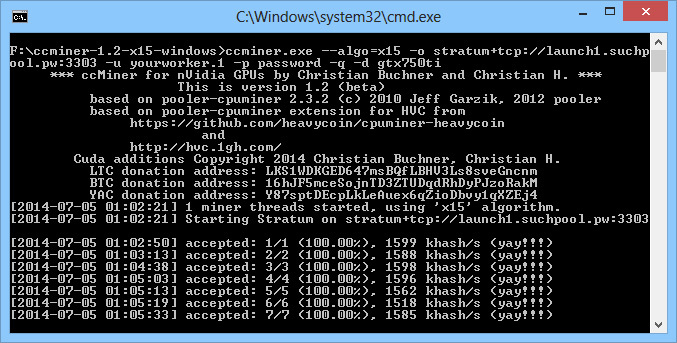 If you wish you could just compile the miners from source, but you’d still get the same warnings. We have also published a guide on how to compile ccMiner yourself from source under Windows if you don’t know how to do it yourself. The link does not work any longer. Any fix?